In celebration of the University of Kentucky's upcoming sesquicentennial in 2015, the 46th of 150 weekly installments remembers the accomplishments of integration pioneer Doris Wilkinson. 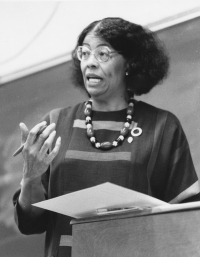 As a freshman, Doris Wilkinson was one of the first African Americans to participate in the integration of UK after the Supreme Court declared public school segregation illegal. 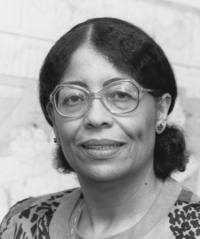 After receiving her bachelor's degree in 1958 from UK and her master's and doctoral degrees from Case Western Reserve University, the trailblazer became the first full-time female African-American faculty member at UK. As a UK professor in the Department of Sociology, Wilkinson would also design the university's African American Studies and Research Program, the Carter G. Woodson Lecture Series and the Black Women's Conference. In 1988, she received a grant from the Kentucky Humanities Council to study and plan a community wide exhibit on early African-American physicians from 1890-1950. That same year she was awarded the American Sociological Association's national DuBois-Johnson-Frazier Award for her exemplary contributions to minority research and the field of race relations. Wilkinson has a long and significant record of professional and scholarly research and achievements. In addition to many other achievements, she won UK's Great Teacher Award and was a visiting Ford Foundation Fellow at Harvard University in 1989-1990 and has published numerous articles and books. Named to the UK Hall of Distinguished Alumni on Oct. 13, 1989, Wilkinson became the first African-American elected to the hall. This story on UK's history is presented by UK Special Collections. Special Collections is home to UK Libraries' collection of rare books, Kentuckian, the Archives, the Louie B. Nunn Center for Oral History, the King Library Press and the Wendell H. Ford Public Policy Research Center. 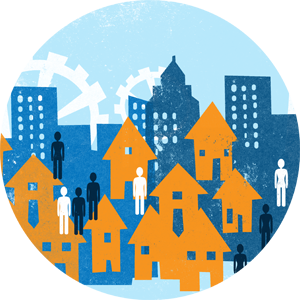 The mission of Special Collections is to locate and preserve materials documenting the social, cultural, economic and political history of the Commonwealth of Kentucky.